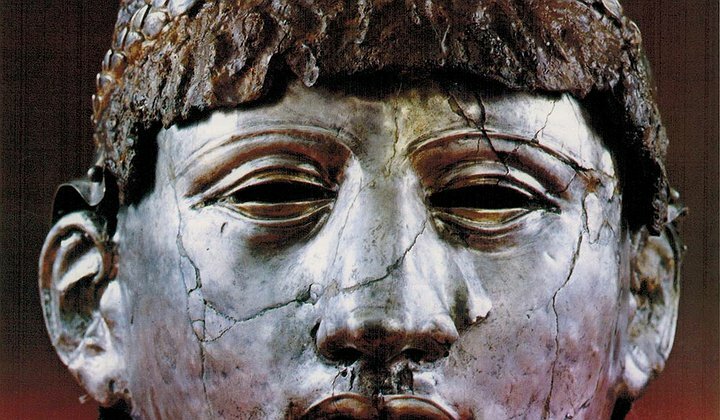 It consists of a helmet made of iron, and decorated with a silver laurel wreath, and of a mask covering the face and the ears which is made of a thin sheet of silver. The mask helmet can be considered both an Ancient Roman and Ancient Thracian artifact. It was made in Rome, and was worn at celebrations and parades. However, it was owned by a Thracian aristocrat from ancient Philipopolis (today’s Plovdiv) in whose burial mound it was discovered in 1905. After the Roman Empire conquered all of Ancient Thrace (at least south of the Danube) in 46 AD, Thrace became a province that was well integrated into the life of Ancient Rome; many Thracian aristocrats retained their status, and many Thracian soldiers served in the Roman armed forces. The mask helmet has now been found and recovered by the Specialized Prosecutor’s Office in Bulgaria as part of an investigation of illegal trafficking of archaeological artifacts. A later report of the Bulgarian daily 24 Chasa explains that the silver mask has in fact been discovered by agents of Bulgaria’s State National Security Agency (DANS). The Ancient Roman – Thracian mask helmet is said to be worth about EUR 2 million, and to be one of just three of its kind in the entire world. The extremely rare artifact was stolen in an armed robbery of the Plovdiv Museum of Archaeology exactly 20 years ago – in April 1995. Back then, two armed men attacked the museum shooting and wounding a security guard. 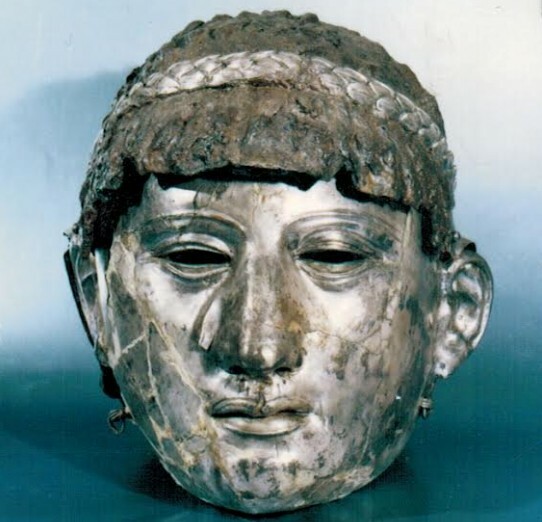 They stole only the Ancient Roman – Thracian mask helmet even though at that time it was exhibited together with other archaeological treasures: two gold laurel wreaths, silver and bronze vessels, and two gold rings. On this case Bulgaria’s Specialized Prosecutor’s Office is prosecuting an organized crime group of four persons smuggling archaeological items. The Director of the Regional Museum of Archaeology in Bulgaria’s Plovdiv, Kostadin Kisyov, has sent a letter to Bulgaria’s Chief Prosecutor Sotir Tsatsarov thanking the institution for the recovery of the stolen item. The mask helmet, which is listed under No. 19 in the inventory book of the Plovdiv Museum of Archaeology, was partly restored by specialists in the 1970s. The Bulgarian Prosecutor’s Office does not reveal where exactly the archaeological artifact was found after it had been missing for 20 years. After it was stolen, the silver mask helmet vanished with no trace; there had been rumors, however, that it had ended in the antique collection of a collector from Switzerland. Most probably, the Ancient Roman and Thracian artifact has now been returned from abroad since a huge number of Bulgarian archaeological artifacts discovered by treasure hunters end up exported illegally, and sold to rich collectors in Western Europe, North America, Japan, or the Arab World. Update as of April 2016: The Thracian-Roman mask helmet has spent a year in restoration, and has been displayed anew at the Plovdiv Museum of Archaeology.